Too Many Labels...Too Many Choices! 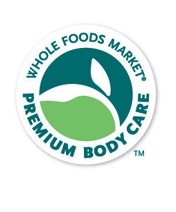 Do you peruse your local health food beauty section in a daze? Are you desperately trying to figure out whether selecting a "natural" product is better than a "100 vegan" product? Since when did beauty products come stamped with so many logos and symbols? In the past few years there certainly has been quite a few changes to our labels. Approximately ten years ago I remember seeing my first recyclable symbol in the shape of a little triangle. By the time I figured out what the various numbers within the triangle meant I was bombarded with jumping rabbits, hearts, swirls, circles, and leaves. Enough to make any beauty goddess' head spin! After much research and many hazelnut lattes, here are some definitions that are sure to put some misconceptions to rest. 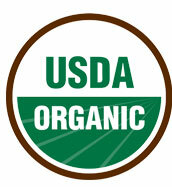 A quite co mon logo to grace our beauty products is the Ecocert Organic Label. What does this mean to beauty goddesses? Basically that there are only 10% certified organic ingredients and a minimum of 95% so called "natural" ingredients in these formulations. These products also may contain synthetics from naturally derived preservatives that have been deemed safe. These products like the USDA are inspected by government officials but not nearly as vigorous as the former. The upside is that there are also no synthetic fragrances or colours, no GMOs, no petroleum ,and no parabens. 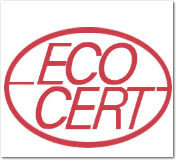 Please see www.ecocert.com/ for further juicy details. The Australia n Certified Organic symbol is another that has been steadily making its way into North American health food beauty departments. It is slightly similar to the USDA Organic compliance in that it must be at least 95% organically produced but with the exception that salt and water is excluded. There are still absolutely no synthetic chemicals and fragrances and no GMOs. This is definitely one to look out for since the majority of the time a formulation containing the ACO is also USDA recognized. Whew...there sure is a slew out there! I have not even touched upon the German based BDIH or Demeter International. I would love to hear of any other certifications out there that you are seeing so please feel free to drop me a line...I'll be waiting with my hazelnut latte in hand!Please join me next month when I discuss the shocking news on how our babies are born with toxins.